Did you know that May is National Vinegar Month? Not only has this magical ingredient been used for over 10,000 years in recipes, it is also a solution to common household problems. Here are some ways on how to use vinegar you never imagined possible. Remove deodorant and antiperspirant stains from clothes by lightly rubbing with white distilled vinegar and laundering as usual. To hold colors in fabrics, which tend to run, soak them for a few minutes in white distilled vinegar before washing. Use one cup apple cider vinegar. Submerge solid gold jewelry item in vinegar for 15 minutes. Remove and dry with cloth. Mix 1 teaspoon liquid detergent and 1 teaspoon white distilled vinegar in a pint of lukewarm water to remove non-oily stains from carpets. Apply mixtures to the stain with a soft brush or towel and rub gently. Rinse with a towel moistened with clean water and blot dry. Repeat this procedure until the stain is gone. Then dry quickly, using a fan or hair dryer. This should be done as soon as the stain is discovered. Brass, copper and pewter will shine by dissolving 1 teaspoon salt in 1 cup of white distilled vinegar. Stir in flour until it becomes a paste. Apply paste to the metals and let it stand for about 15 minutes. Rinse with clean warm water and polish until dry. Place 1 cup apple cider vinegar in a glass and set in refrigerator. Within 2 days, all smells are gone! 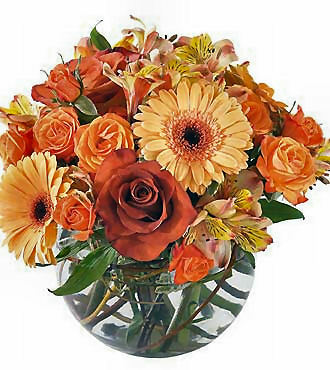 Add 2 tablespoons sugar and 2 tablespoons white vinegar in a 1 quart vase of water. Trim stems and change water every five days. Stubborn stains can be removed from the toilet by spraying them with white distilled vinegar and brushing vigorously. The bowl may be deodorized by adding 3 cups of white distilled vinegar. Allow it to remain for a half hour, then flush. Wet the dog down with fresh water. 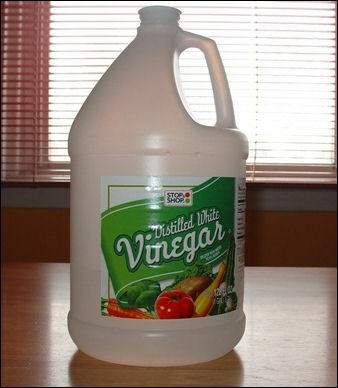 Use a mixture of 1 cup white distilled vinegar and 2 gallons of water. Saturate the dog’s coat with this solution. Dry the dog off without rinsing the solution. Remove bumper stickers by repeatedly wiping the sticker with white distilled vinegar until it is soaked. In a few minutes, it should peel off easily. Test on a small invisible area of the car to ensure there will be no damage to the paint. If you have a worn DVD that has begun to stick or suffers from the occasional freeze-frame, wipe it down with white distilled vinegar applied to a soft cloth. Ensure the DVD is completely dry before re-inserting in the DVD player. Note: This only works on DVDs that are scratched of dirty through normal wear. Visit VersatileVinegar.org for more great tips. Real good article, I did not know that vinegar could do such things. Thats just wonderful.